If you're willing to get your hands dirty and build your own system, a more powerful alternative to a BeagleBoard is the Pandaboard. These sport dual-core 1GHz or 1.2GHz Cortex-A9 CPUs, 1GB of RAM and both Wi-Fi and Bluetooth. The Pandaboard looks likely to be the successor to the Beagleboard in the RISC OS world, but for now the port is still rather immature and unstable – and it's very unlikely that RISC OS will ever support more than a single CPU core. However, the devices run various Linux distros and Android. Despite Eben 'Raspberry Pi' Upton's comments, Texas Instruments have admitted to subsidising the price of the Pandaboard to keep it down to $174. The original PandaBoard shipped in 2010; the more powerful ES version, which appeared in late 2011, currently offers the most bang for your buck in small ARM systems. Allwinner's A10 CPU is already shaking up the ARM market dramatically in China. It's a 1.2GHz single-core Cortex-A8 based System-on-a-Chip with a Mali 400 GPU for just $7 in large volumes. 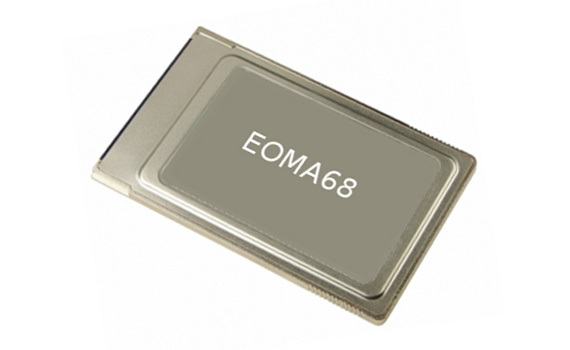 Rhombus Tech plans an open-source circuit-board in the physical form-factor of the old PCMCIA card – also known as EOMA-68. The Trim-Slice is a high-spec (by ARM standards) ultra-small-form-factor desktop from the creators of the Linutop. It has a 1GHz Nvidia Tegra 2 dual-core ARM9 CPU, a 1GB of RAM, 4 USB, Gigabit Ethernet and HDMI ports, with options of Wi-Fi, an SSD or an on-board 2.5in SATA hard disk. 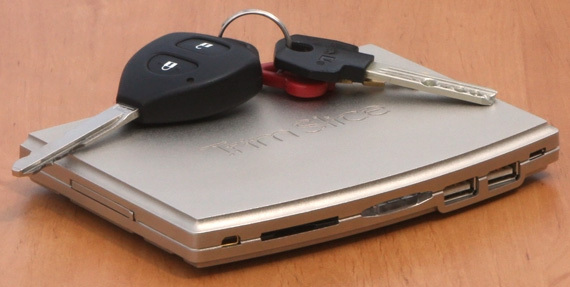 On sale since early 2011, it's a relatively venerable device and comes with Ubuntu.